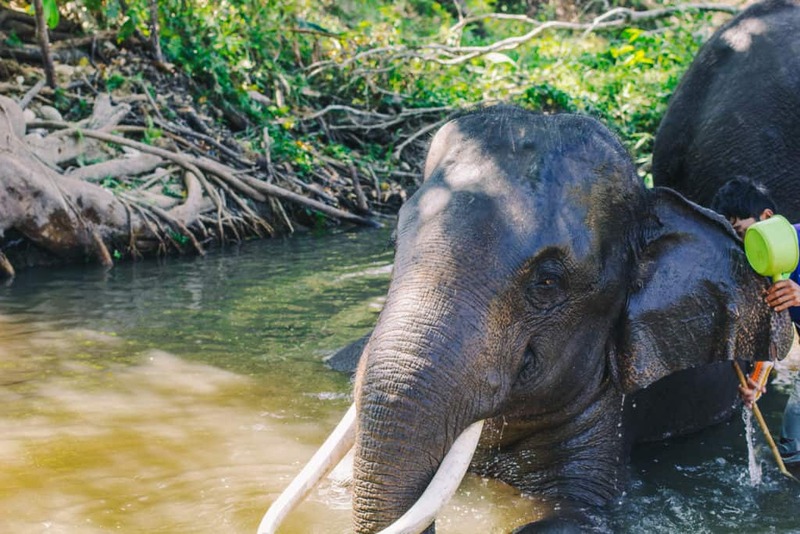 Here’s Why You Shouldn’t Ride Elephants – Play With Them at Dumbo Elephant Spa Instead! 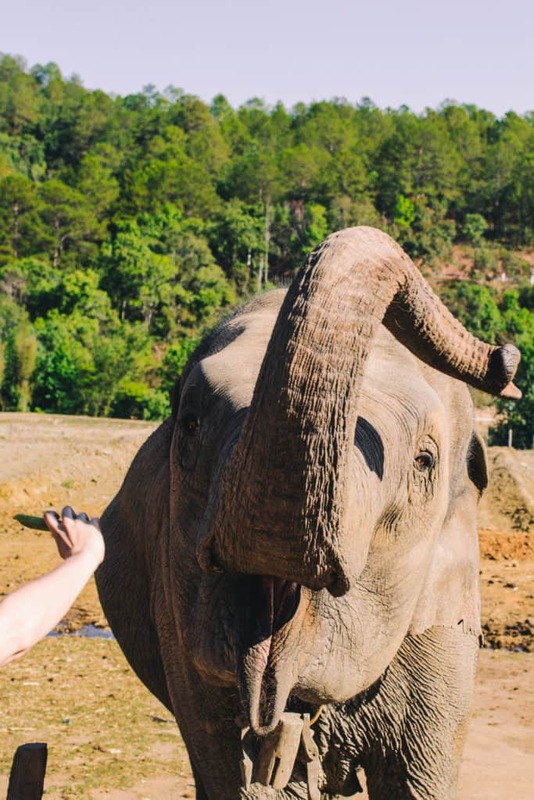 So, you’re going to Thailand and you want to ride the elephants you say? Hold on. 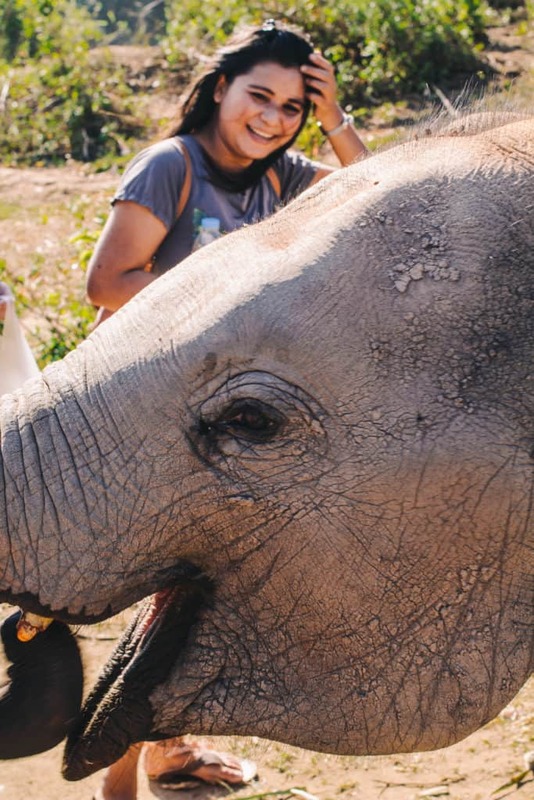 Here’s why you shouldn’t ride elephants – play with them at Dumbo Elephant Spa instead! Before you decide to ride an elephant, we thought we should let you know that elephants that are being ridden, doing tricks (i.e. anything human like) are likely being abused and coerced into “performing” for humans. Many elephants that give rides or go on “treks” are forced to work about 55 hours a week, and many are dropping dead from exhaustion. 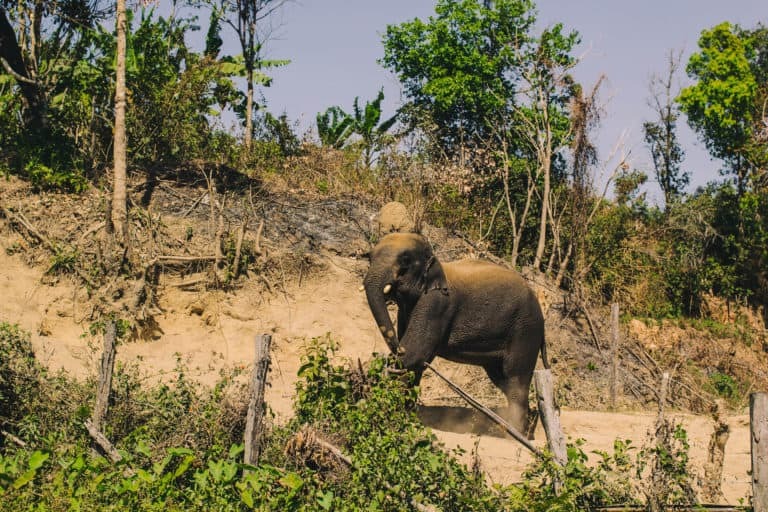 Experts estimate that there are only about 3,000-4,000 elephants alive in Thailand today. Only 2,000 of them are living in the wild, the rest are in captivity, with many of them living in terrible conditions. 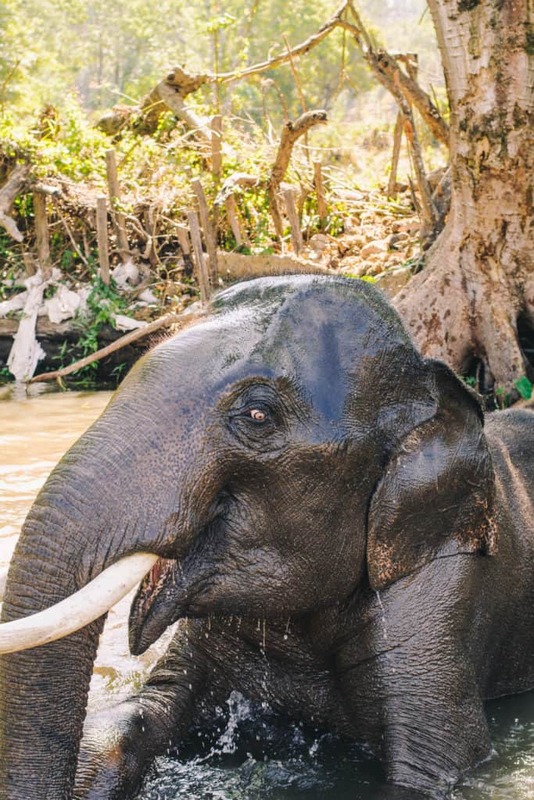 20% of Thailand’s elephants live in and around Chiang Mai. 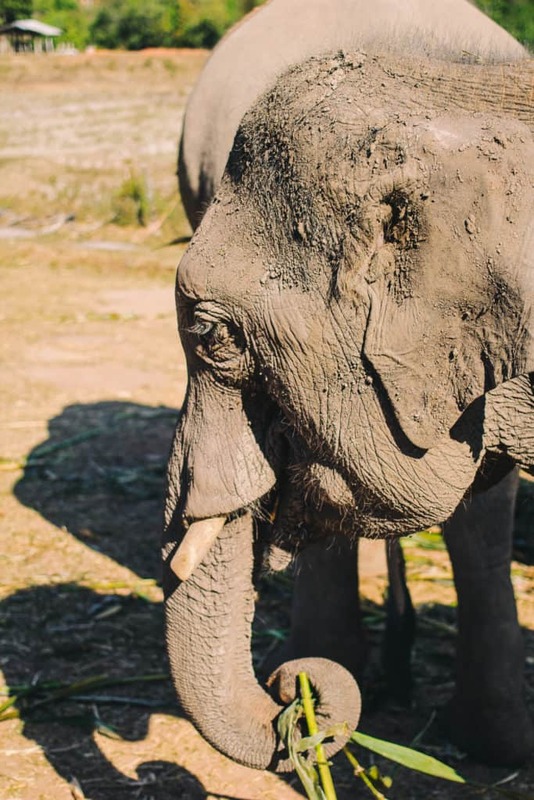 So you’re probably wondering, so what can we do to help the elephants? That is a great question. 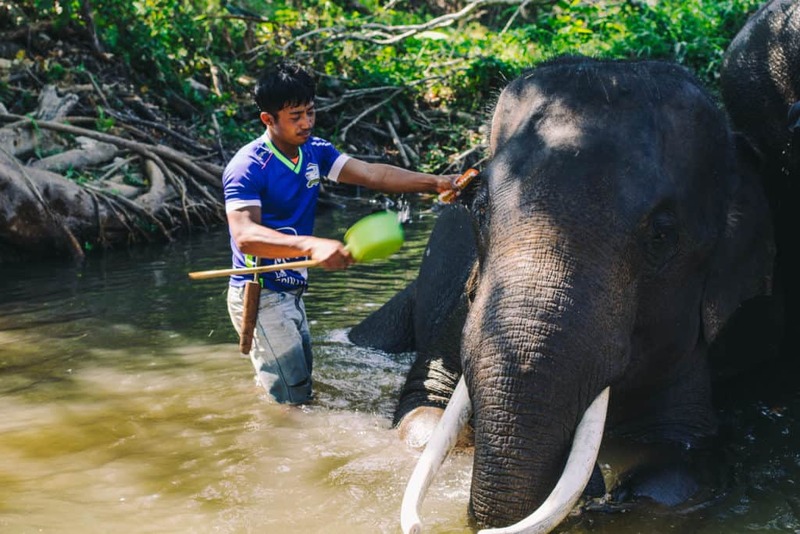 A really great option is supporting an elephant sanctuary, like Dumbo Elephant Spa located in Chiang Mai. 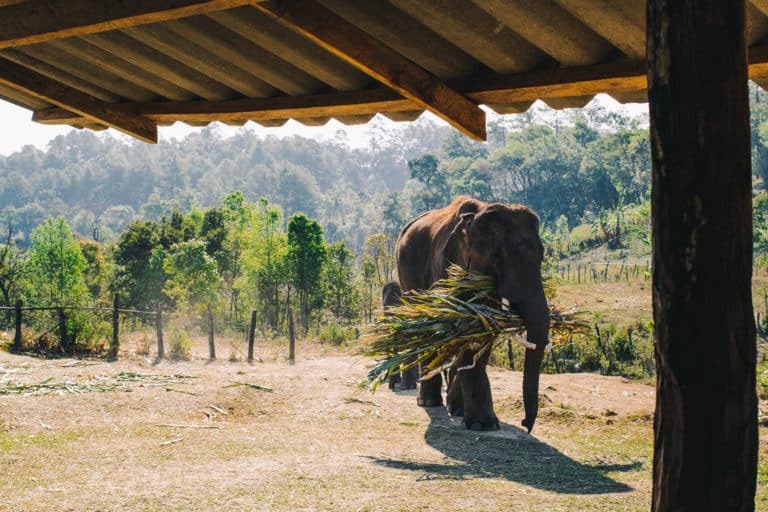 This sanctuary is run by farmers, who are supported by the government to feed, raise and take care of the elephants. 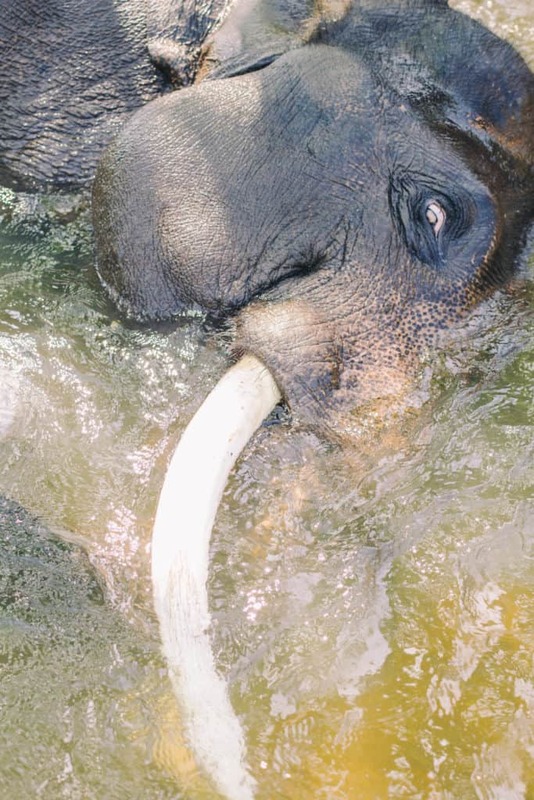 There are no hooks (used to coax elephants into doing tricks), no riding and the sanctuary is completely humane. 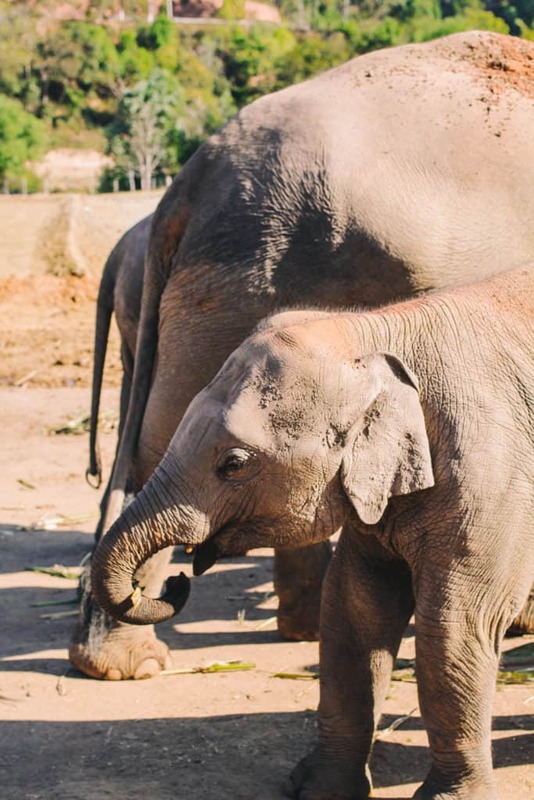 Not to mention, the money you pay to visit with the elephants is used to support the farmers and the elephants! The organizers at Dumbo Elephant Spa will pick you up from your guesthouse bright and early (if it is inside the Old City) of Chiang Mai. We did the half-day trip, so we were picked up at 6 am. 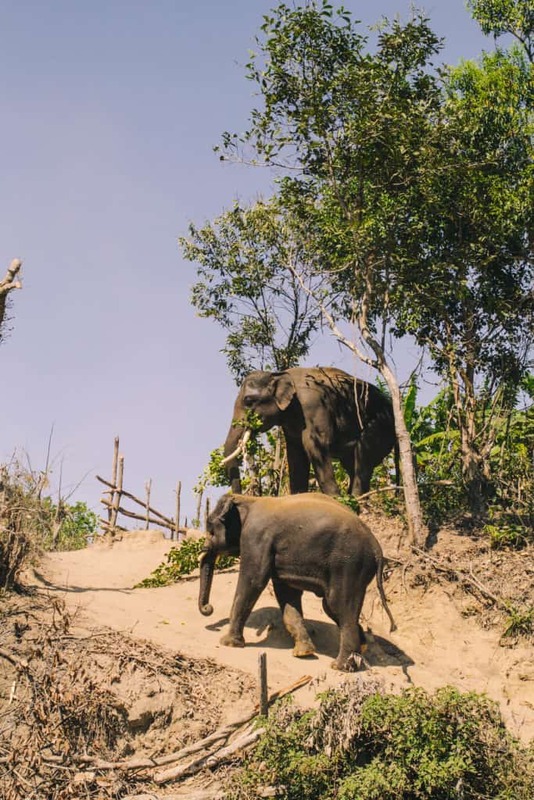 It takes about an hour and a half to pick everyone up and drive up to where the elephants live (in the mountains). It was so peaceful and green up there. You also get to escape the blazing heat of the city (just a little bit) and enjoy your surroundings. When you arrive, you get a little intro about the farm and the elephants. You then change into a specific traditional shirt that the elephants will recognize as feeding clothes. Here’s where the fun begins! The elephants come and great you and are excited for their treats. We feed them squash, sugar cane, mango and bananas. These guys were hungry. Did you know that elephants eat between 200-300 kg of food per day?! You say “Bon Bon!” to let the elephants know you have a treat for them. They happily accept. 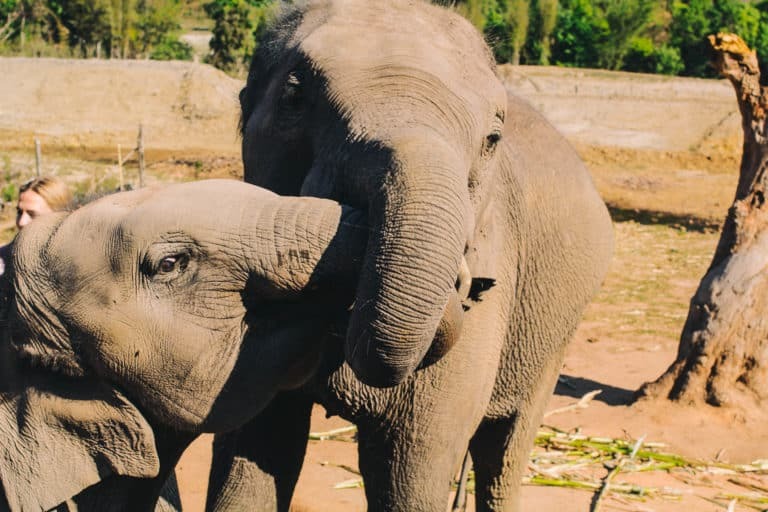 Did we mention these elephants are all family? We love that they all get to be together! They love to play. 18-month old Dumbo (whom the sanctuary is named after) was super mischievous and loved to eat! He kept trying to steal everyone’s food and succeeded at grabbing one of our food bags. After feeding time, we let the elephants go roam in the forest for more food. We sat and observed them for about 30 minutes. It was cool to see what their average day was like. Honestly, this was our favorite part. So many times animals are associated with entertainment. It was amazing to be able to watch them in their most natural and comfortable state. Next, it was time to visit the watering hole to give the elephants their bath. They loved to play in the river and seemed to really enjoy being pampered. Just having a little fun spraying everyone with water… nothing to see here. After their baths, they climbed up onto the dirt and almost immediately started rolling in it. After all the fun, we walked back to camp to shower and enjoy some freshly prepared food before our trip back to the city. 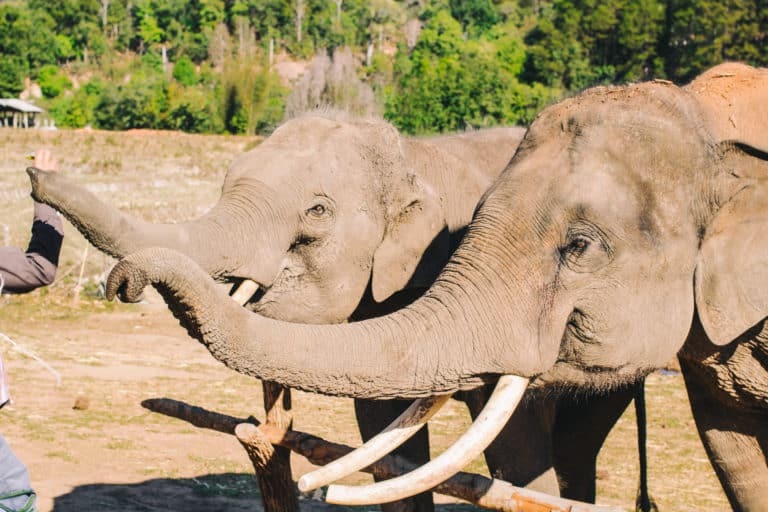 Have you guys been to an elephant sanctuary before? Let us know in the comments below! 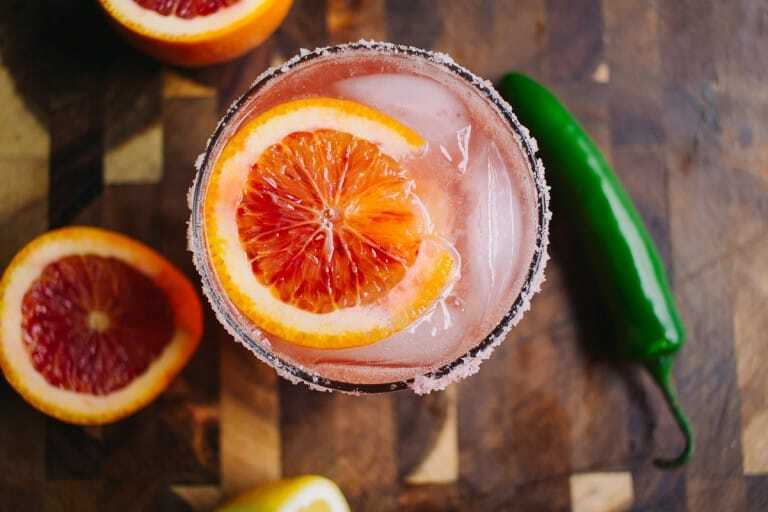 If you liked this article, spread the word! 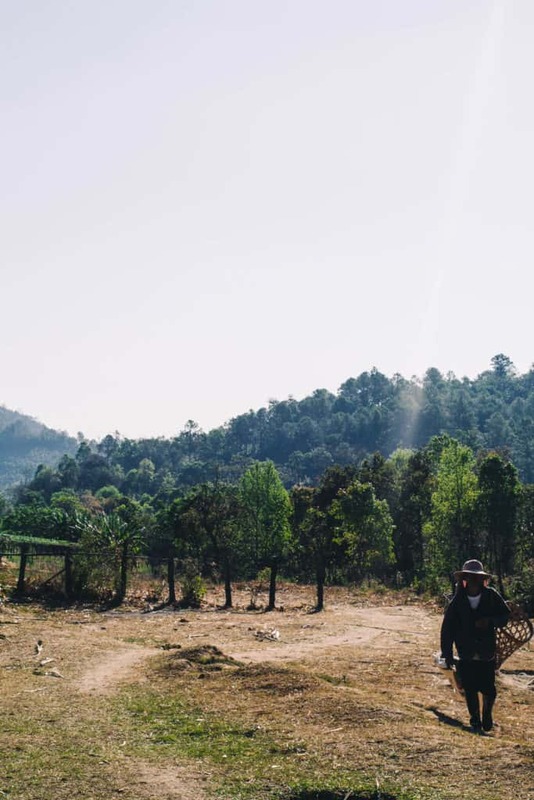 Want to see more photos of our adventure in Thailand? Check out this gallery! If you’re looking for more activities for Chiang Mai specifically, you can check out the spa we visited in Chiang Mai, Fah Lanna Spa. 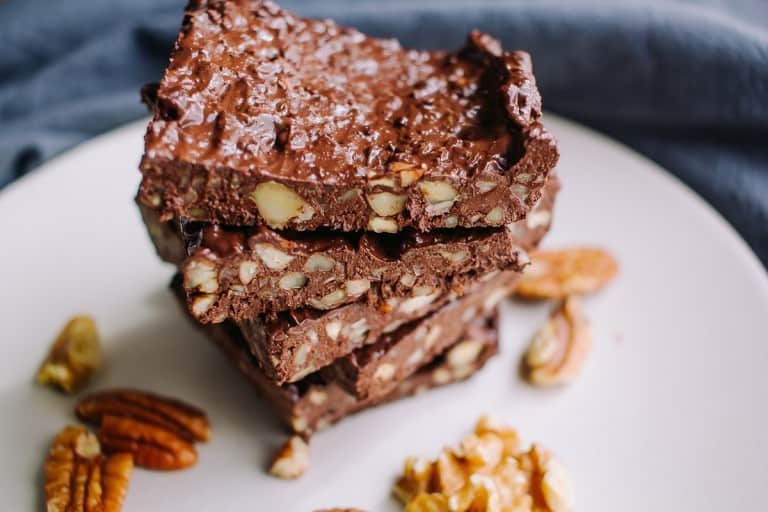 Of course, here’s a list of some of our top foods to eat in Thailand! 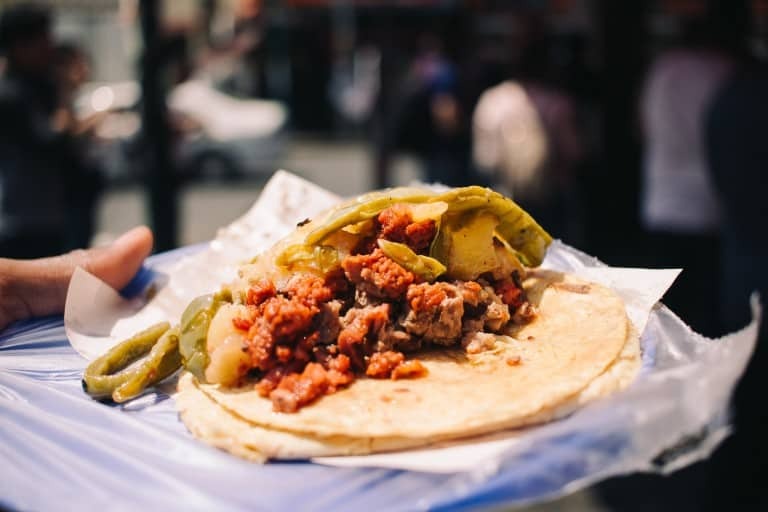 This post is so informative; all of the photos make me feel like I’m there with you. It’s sad when animals are abused for entertainment purposes. I will make sure to share this information with others.